On the road, you truly feel all of the advantages of the turbocharged engine. There are a lot of choices offered to consumers when it comes to compact sedans, and quite frankly most are high-quality models. That’s why it is important to understand our needs before deciding which compact sedan will fit our lifestyle best. When it comes to the 2017 Chevrolet Cruze, it has been designed for those who want efficiency, interior space, and comfort; without compromising on driveability. Starting at $15,995, the 2017 Chevrolet Cruze is powered out of the gate by a 1.4-liter, turbocharged four-cylinder engine that delivers 153 horsepower and an impressive 177 pound-feet of torque available at just 2,000 RPM. That means that regardless of the situation, you always have plenty of power available under your right foot. 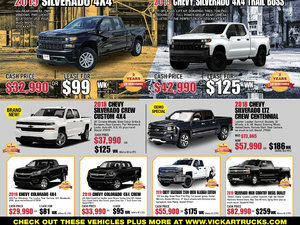 Better yet, this performance does not come at the expense of fuel economy. Indeed, the 2017 Chevrolet Cruze has an average fuel economy rating of just 6.0 liters per 100 kilometers on the highway, and 8.3 liters per 100 kilometers in the city. A six-speed manual is standard while a six-speed automatic is optional. On the road, you truly feel all of the advantages of the turbocharged engine. There is plenty of passing power and you immediately feel a push when leaving a red light, but you also notice that your fuel economy is usually above what you imagined, and that you seem to be going further between every refueling. Read any review about the 2017 Chevrolet Cruze and each one will tell you just how spacious the new 2017 Chevrolet Cruze actually is. In fact, reviewers must compare the new Cruze to a midsize sedan as opposed to a compact vehicle when talking about the 2017 Chevrolet Cruze. The new Cruze is offered in five trims: L, LS Manual, LT Manual, LS Auto, LT Auto, Premier Auto. This year, Chevrolet also added an all-new variant with the new 2017 Chevrolet Cruze Hatchback. The Hatchback features all of the technology and amenities of the Cruze sedan, but adds a lot more cargo space (more than 650 liters to be exact) and a sleek European design that has been unanimously praised since it arrived on the market last year. 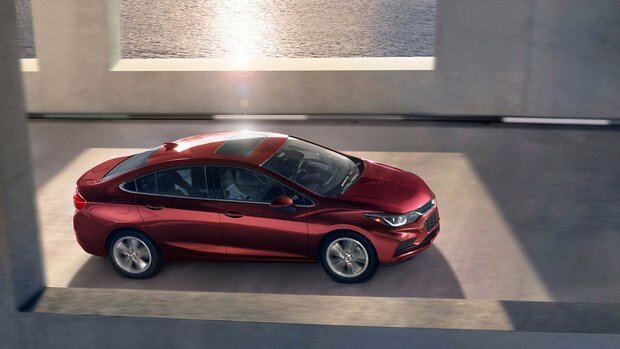 The 2017 Cruze stands out in its segment thanks to exclusive features such as 4G LTE Wi-Fi connectivity, and a host of active and passive safety technologies as well. To learn more about the 2017 Chevrolet Cruze, contact us today at Vickar Chevrolet in Winnipeg, Manitoba!